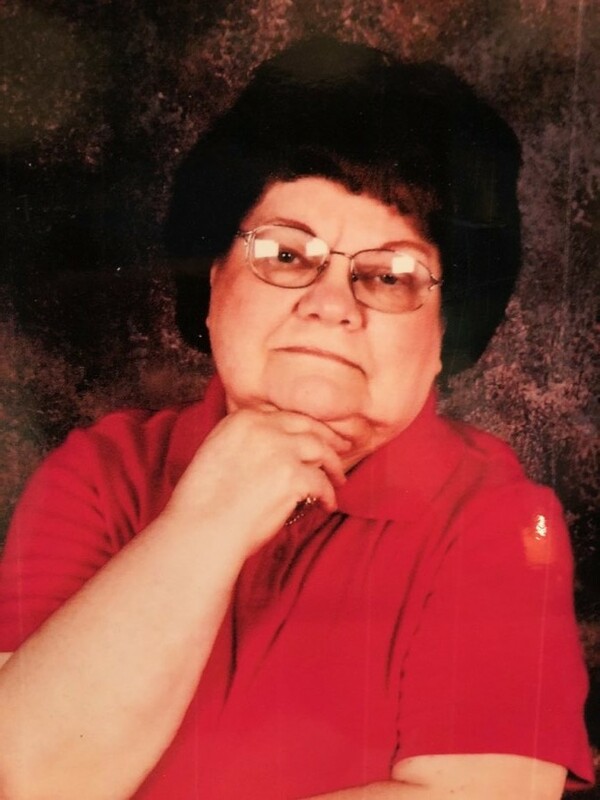 Leona Faye Scott of Toledo Ohio passed away on Saturday July 21, 2018 at her home. Leona was born on May 21, 1938. She married Bobby Scott on June 26, 1978. Leona was a homemaker. She was the daughter of Charles Norman Catt and Marjorie Soden Willis. Leona loved doing her crocheting, sewing, and other crafts. She was also always ready for a rainy day. She is survived by 3 sons, Richard (Joyce) Hall of Indianapolis, IN, Terry (Shane) Hall of St. Francisville, IL, and Michael (Judie) Hall of Vincennes, IN, as well as 2 daughters Carla Racey of Bicknell, IN, and Sheila (Gregory) Risley of Oaktown, IN. Leona was also survived by 10 grandchildren April Miller, Rochelle (Roger) Roberson, RIchard (Kassandra) Hall, Brandy (Adam) Mackey, Brianna Abrams, Brandon Hall, Chade Risley, Victoria (Joseph) Rickard, Jennifer (Michael) Williams, Cassandra (Lucas) McCarter. 16 great grandchildren and 1 great- great grandchild. Leona is also survived by 6 brothers, Delbert William Catt, Charles Norman Catt Jimmie Lee France and David Lynn Willis of Vincennes, IN, Bruce Allen Catt of Monroe City, IN, and Jeffery Wade Catt of Bicknell, IN, as well as 4 sisters Bettie Lucas Emmitt Idaho, Priscilla (Michael) Wissel, May Thompson, and Vicky (Arlon) Ellerman all of Vincennes, IN. Mrs. Scott is preceeded in death by her parents , her husband, as well as 4 sisters, Barbara Jean Catt, Rosaletta Kay (Katie) Murphy, Teresa Ellen Zubutia, and Pamela Charlene Elliott, 3 brothers Norman Eugene Catt, Charles Wayne Catt, Gary Michael Willis and 1 great grandson Jamie Lynn Miller. A Funeral service will be held on Monday July 30 at 1 pm at Fredrick & Son McClure-Utt Funeral Home in Vincennes, IN. Visitation will be from 10 AM until time of the funeral. Online condolences may be made at www.fredrickandson.com.